View More In Jewelry & Beadwork. A creative way to pray – across faith traditions – made new for all who seek a more intimate experience with God. Lushly illustrated. 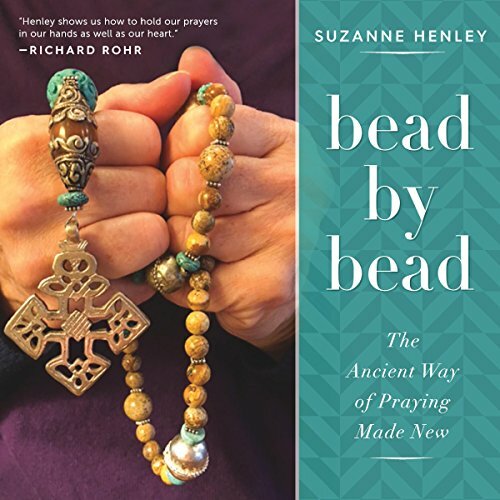 Divided into three parts, the first part of Bead by Bead takes a historical look at prayer beads across centuries and cultures. Part Two showcases opportunities for heart/mind/body ways to “pray the beads without the beads,” including activities that are whimsical, ordinary, and spirited, to inspire readers to create their own. The book concludes with an invitation to contemplate one’s own life as a rosary. Readers are encouraged to draw their own set of prayer beads and, with discernment and prayer, label each bead. They then can keep and literally hold their life in their hands in prayer, gratitude, and awe. If you have any questions about this product by Paraclete Press, contact us by completing and submitting the form below. If you are looking for a specif part number, please include it with your message.